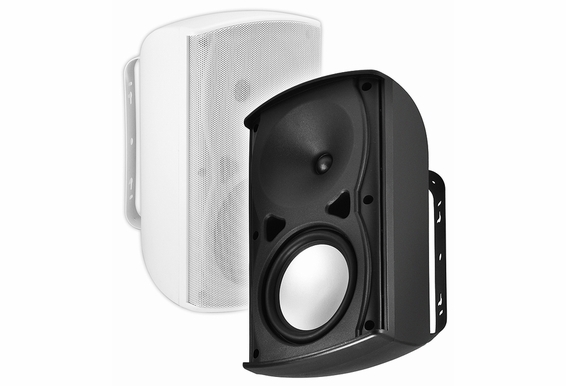 The AP670 outdoor patio speakers have a sleek, modern appearance that many customers appreciate. 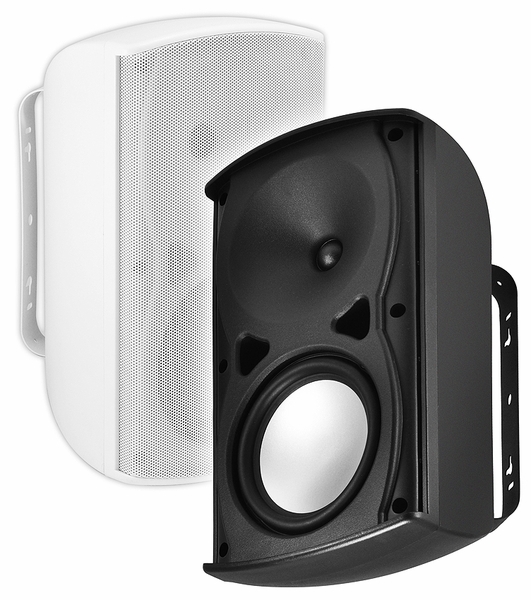 These outdoor speakers perform quite well at high listening levels and have a larger cabinet. Sold in pairs, the AP670s offer up rich bass and handling power up to 120 Watts. OSD patio speakers are designed for full weather versatility and can take the hot and cold weather for years to come. With exceptional sound quality, flexible mounting possibilities, and a sleek unobtrusive look, the AP670s will fill your patio, deck, or pool area with the tunes you crave. The included swivel-brackets also let you mount them vertically or horizontally. Can I Connect my iPod up to these speakers? Sure, but you would need a receiver or amplifier power the speakers You can plug your iPod, computer, or other portable player into the back of the amplifier. We also carry outdoor speaker wire you will need to connect the speakers and RCA adapter cables to connect your iPod. Do these speakers have to be installed under eaves? We recommend utilizing some sort of cover to help increase the performance and prolong the life of the product but although some customers choose to install patio speakers in uncovered areas. All of the components are weather resistant, including aluminum or stainless steel hardware and ABS plastic housings. OSD has a reputation for building rugged outdoor speakers that will last for years but it's never a bad idea to take care of your investment with added protection. What type and gauge speaker wire should I use? The AP670 outdoor speakers allow you to use a bare wire connection but also accepts a banana plug. For runs up to 100ft, standard 16-2 wire will be fine for this speaker. For runs, 100-150 ft 14 gauge. Beyond 150ft, we recommend a 12 gauge speaker cable. We also offer a four conductor 16 and 14 gauge wire to add an in-line volume control to your outdoor location. Are the white speakers paintable? Hello Robb, Yes - you can paint these speakers. The grills are removable.